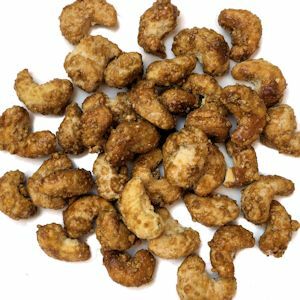 Crispy and light, these buttery toffee coated cashews are gently hand cooked in copper kettles. They are the perfect portable snack! Also great on salads. Chashews, Sugar, Butter and Slat. May contain Wheat, Milk, Peanuts, Tree Nuts, Soybeans and/or Eggs.